What are you ready to begin today? Raised in St. Louis, Missouri, DeMargel is one of the millions of devoted fans of the St. Louis Cardinals. Following his graduation from the University of Missouri, he decided to pursue his dream of working in professional baseball. He applied for hundreds of jobs, choosing an internship in the promotions department with the Colorado Springs Sky Sox, the Triple-A affiliate of the Colorado Rockies. 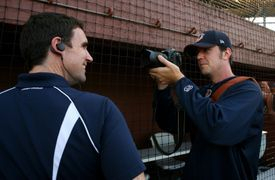 Following the internship, DeMargel was hired by the Lake Elsinore Storm to direct the California League/Carolina League All-Star Game. After coordinating the three-day affair resulting in the second highest attended game ever, he was named Director of Game Entertainment and Community Relations with the Anaheim Angels California League Affiliate. One year later, he was placed in charge of media relations as well. DeMargel's profile rose upon accepting a position with one of the most famous teams in all of sports, the Durham Bulls. Over the next 11 seasons, he would earn three championship rings, develop the first in-house, high definition broadcast operation in minor league baseball, orchestrate the team's 100th anniversary season. He released his first book, Durham Bulls Baseball: A History and Statistical Summary, and received recognition in ESPN The Magazine's "Dream Jobs" issue complete with a video profile on espn.com. Following the 2011 season, DeMargel resigned from the Bulls to take one year to develop new skills and travel around the world. In that time, he visited 94 cities in 27 countries and three sovereign territories. He kissed the Blarney Stone, participated in the harvest in Germany's wine country, witnessed a canonization by the Pope in Vatican City and biked the famous border between Germany and France. He even hiked the most difficult active volcano in Central America, an eight and ½ hour trek on the island of Ometepe in Nicaragua. 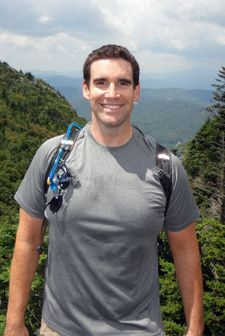 As a means of allowing his parents to follow his adventures in Europe, DeMargel documented the three-month backpacking excursion under the name "Midlife Explorer" with a series of short videos in each city. To view the videos, visit his page at www.youtube.com/midlifeexplorer. Today, DeMargel works with 919 Marketing to promote national franchises as a public relations specialist, producing winning campaigns to maximize publicity for his clients. He is an avid cyclist, a student of foreign languages, an impassioned traveler and unabashed foodie. 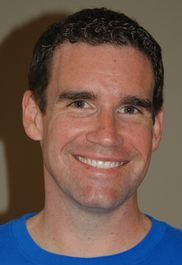 He resides in Kingwood, Texas with his wife, MIsti and stepson, Ethan. Would you like to see how DeMargel can assist you or your company with your goals? Click here to for contact information.